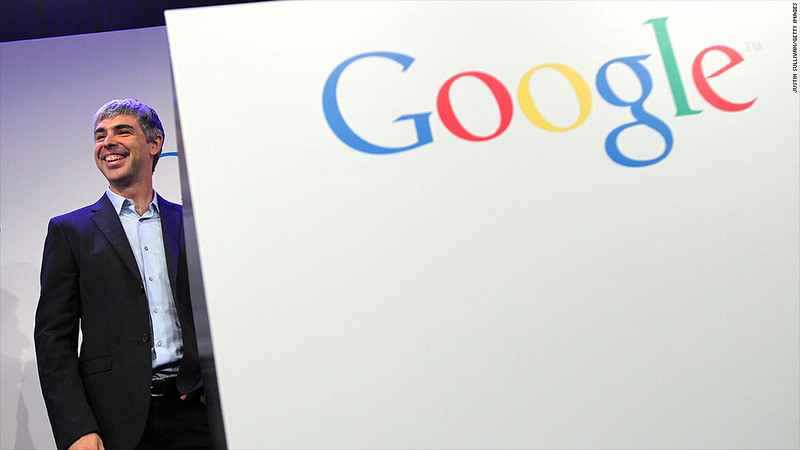 Google co-founder and CEO Larry Page. Hey, turns out this "Google" craze might be here to stay. Google (GOOGL) reported another quarter of surging sales growth Thursday, with revenue rising 22% versus last year. The news sent the stock rising 1.6% in after-hours trading. The challenge for Google in the past few quarters has been convincing marketers to pay as much for mobile ads as they do for desktop ads, a task that's become increasingly pressing as Web usage shifts to smartphones. Part of the way Google is addressing this issue is through the "enhanced campaign" strategy it introduced last year, which requires advertisers to buy across multiple platforms. Google said marketers paid 6% less per ad in the second quarter compared with last year, but ad viewing rose 25%, giving the company strong revenue growth. Google held a whopping 68% share of the U.S. search market as of May, according to comScore. Overall, the company reported sales of nearly $16 billion, beating analyst expectations. Earnings came in at $4.2 billion, a bit below Wall Street's forecasts. Google, like rival Facebook (FB), has been spending big on emerging technologies recently as it works to expand outside its core search business. The California-based company has invested billions of dollars in driverless cars, wearable gadgets, military robots and, through its $3.2 billion purchase of Nest earlier this year, connected home devices. Google also announced Thursday that Nikesh Arora, its chief business officer, is leaving to become vice chairman of Sprint (S) parent SoftBank and CEO of its SoftBank Internet and Media division.